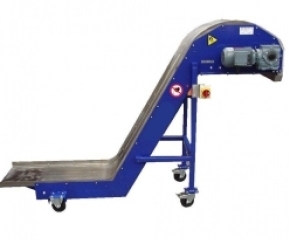 Magnetic slide conveyors contain no moving parts on the outside (in contrast to a conveyor belt), so they are perfectly suited for transporting sharp steel parts, such as punching waste, recycled materials or drill swarf (works equally well in oily and non-oily conditions). 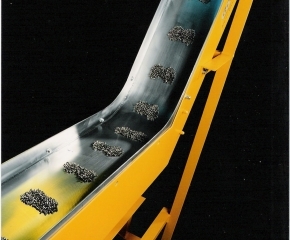 transport of punching waste or small ferromagnetic parts. 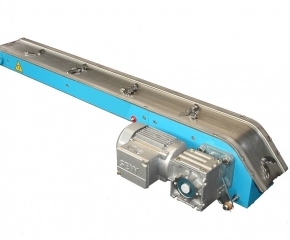 Magnets, spaced evenly along the length of a driven chain, are concealed beneath the stationary slide plate. 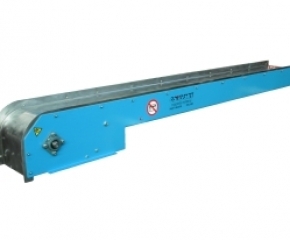 The magnets move the steel parts along the slide plate and carry them to the discharge end.